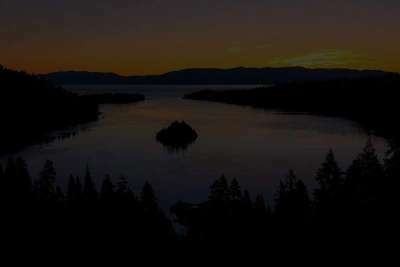 In the heart of South Lake Tahoe you will find the Highland Woods neighborhood, surrounded by some of Tahoe’s most beautiful landscape, it is privately tucked away with literally no drive-through traffic, wide streets and underground utilities. It is no surprise that Highland Woods is a favored location with good resale value. Trout Creek and the Upper Truckee River border Highland woods on two sides and the gorgeous meadows are full of wild life with backdrop views of our majestic snow capped Sierra Nevada Mountain Range. Highland Woods home owners enjoy the amenities of easy access to the surrounding meadows with beautiful walks, hikes and cross country ski’s. The bike path also runs through Highland Woods making a family bike ride to the beaches, Recreation center or Little League/Babe Ruth Fields a fun and easy family outing. Highland Woods is a sunny, easily accessible neighborhood with level parcels making this a desirable place for locals and vacation home owners alike. Although the majority of the homes in Highland Woods are the typical Fee Simple, Single Family Residences, there are two pockets of Planned Unit Development (P.U.D.) chalets and gambrel style homes within Highland Woods and these P.U.D. homes provide some amenities similar to condo ownership and also are at a different somewhat lower price point than the majority of the other homes in Highland Woods. Highland Woods has a great deal to offer and our experience is that our clients are overwhelmingly impressed with this little gem of a neighborhood.